The State House in Augusta in May. AUGUSTA, Maine — Gov. Paul LePage met Friday with department heads and union officials to gauge the potential damage of a prolonged U.S. government shutdown. But determining how many state workers would be affected — and when — is proving difficult as officials from both camps continue to have more questions than answers. 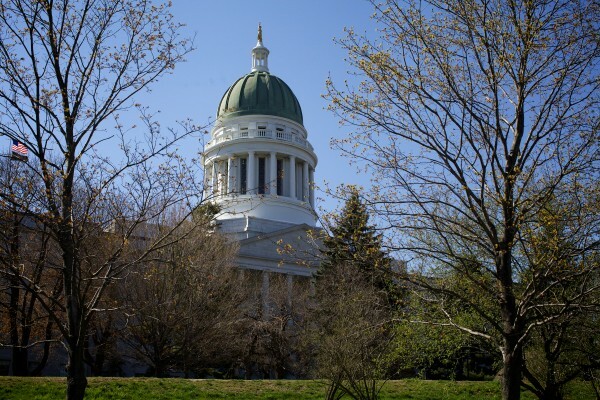 “We want to find a resolution here, but there are many moving parts,” said LePage press secretary Adrienne Bennett after the governor met Friday morning with representatives from the Maine State Employees Association. The longer the shutdown continues, the harsher its effect will be on state employees and other workers throughout Maine who are paid — in part or in whole — by the federal government. During the shutdown, many of the money streams from Washington stop flowing into Maine, meaning the workers who hold those positions cannot be paid. The shutdown already has sent hundreds of Mainers — from state employees to National Guardsmen to Acadia National Park rangers — into temporary layoffs. It has caused others, such as air traffic controllers and aviation safety inspectors, to work without pay. If the stalemate in Congress that caused the shutdown continues into next week, more Maine workers could lose their paychecks or be sent home. Bennett said there are thousands of such workers throughout state government. The Department of Health and Human Services and the Department of Labor — which receives 97 percent of its funding from D.C. — would be the hardest hit, she said. Bennett said Friday morning that the state had kept federally funded workers on the clock this week in hopes the shutdown would be short-lived. However, she said, the state cannot continue to fund those jobs out-of-pocket. The shutdown has made for strange bedfellows in LePage and the Maine State Employees Union, who often are at opposite ends of the political divide. On this issue, though, the two sides are seeking each other’s counsel to find ways to minimize the impact of the shutdown on state services and workers. The governor personally called for a meeting with union officials Friday morning. Assessing the potential damage is complicated by two factors. First, variance in funding schedules means some workers paid with state money could stay on longer than others. If state government already has received funding for one position, that worker could work longer than another whose funding wasn’t scheduled to come until after the shutdown began. Second, the government shutdown stops spending on “nonessential” services while continuing to fund essential programs such as Social Security, Medicaid and unemployment. But clarification on exactly which employees are essential is elusive, said Bennett and Turowski. In a message sent to union members and posted on Facebook, MSEA President Ginette Rivard urged furloughed employees to apply immediately for unemployment benefits, and said the union would push Maine’s congressional delegation to break the logjam in Washington and get the government up and running again. Forty-four administrative employees in the state Department of Defense, Veterans and Emergency Management had been placed on furlough Thursday. Additionally, more than 400 National Guardsmen in Maine have been temporarily laid off, while Acadia National Park has locked its gates to tourists and greatly reduced its staff. Federally funded research positions statewide also have been affected. The Maine AFL-CIO said Friday that other workers around the state already have been laid off temporarily. Workers at Portsmouth Naval Shipyard and employees at the Veterans Medical Center at Togus who process veterans’ benefit claims face the specter of being furloughed next week, the labor group’s statement said. More than 500 employees of Defense Finance and Accounting Services in Limestone, which does accounting for the U.S. Air Force, also may be placed on unpaid leave if the shutdown continues, the labor group said. Follow Mario Moretto on Twitter at 1 @riocarmine.